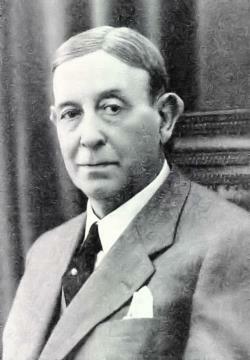 The form of psychosurgery known as "lobotomy" was pioneered by a Portuguese doctor, António Egas Moniz in 1936. This operation, originally known as "leucotomy," was inspired by something Dr. Moniz witnessed at the Second International Neurological Congress in London the year before. There, a Yale-based duo named Carlyle Jacobsen and John Fulton related how they'd performed lobectomies on two rather aggressive chimpanzees. After their surgeries, the apes were much calmer, a fact that inspired Dr. Moniz to try the operation on human beings. His first method involved drilling holes into the skull -- either from the sides or from the top -- and injecting alcohol into the frontal lobes in order to cause sclerosis -- a thickening and toughening -- of the white matter there. He later began to use an instrument of his own design, called a leucotome, to remove six chunks of tissue from the frontal lobes. After having operated on 38 patients, he determined that his prefrontal leucotomy procedure was "a simple operation, always safe" and that it "may prove to be an effective surgical treatment in certain cases of mental disorder." 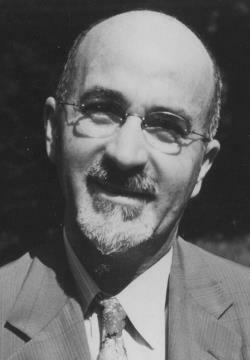 Dr. Walter Freeman, a highly credentialed and esteemed American doctor, had also been at that London conference. Then, hearing about Dr. Moniz's success with his leucotomy procedure, he nominated Dr. Moniz for the Nobel Prize. Dr. Moniz won it, in 1947. Fascinated by Dr. Moniz's work, Dr. Freeman wanted to bring the operation to the United States. He had a problem, however: he wasn't a surgeon, and he needed one in order to open the skull as Dr. Moniz did. To his rescue came Dr. James Watts, a neurosurgeon. The two formed a partnership and began their work in earnest, beginning with a leucotomy performed on a woman named Alice Hood Hammatt, at George Washington University in Washington, D.C. The year was 1936, the very same year that Dr. Moniz began his work with leucotomies. Drs. Freeeman and Watts modified Dr. Moniz's technique, removing even more tissue than Dr. Moniz had, and they renamed their technique "lobotomy." The technique did not always produce desirable results (see Rosemary Kennedy's Operation, right), but there were also many successes. Patients who otherwise would've spent their lives in institutions were able to go to their own homes to live, among their loved ones. Dr. Freeman would receive large stacks of Christmas cards from grateful patients and their families each year. But Freeman wanted for lobotomy to become a more streamlined process so it'd be more widely available to all those he felt in need of it, and so he wouldn't feel any need to be assisted by a neurosurgeon. The technique he devised derived its nickname from the revised leucotome he'd use -- the first one having been, quite literally, an icepick from his kitchen. Instead of drilling into the skull to sever the connections in the frontal lobes, Dr. Freeman would insert his leucotome up over the eye of his patient, angled such that it was parallel to the bridge of the nose. He would drive it upward until he hit the orbital plate -- the bone of the eye socket. At this point, he'd use a mallet to drive the instrument through the bone and almost 2 inches deep into the brain. He'd swing the leucotome 40 degrees outward toward the edge of the face, on the side he was working on, then bring it back almost to its original position. At this point, he'd drive it almost another inch more deeply into the brain, swing it 20 degrees toward the nose, then 30 degrees outward toward the edge of the face. He would then lift up on the instrument, often breaking the orbital plate, which would leave the patients with horribly black eyes. The entire operation, done over both eyes, on the frontal lobes of both hemispheres of the brain, would take only a few minutes. Though his first such "transorbital lobotomy," as the procedure was called, was done with an ice pick, he later made his own version of a leucotome based on the ice pick's design. This instrument was called an orbitoclast. The first transorbital lobotomy was performed in 1946, on a housewife named Sallie Ellen Ionesco. Her family considered it hugely successful. After that, Dr. Freeman was a man on a mission. Dr. Watts, having learned that Dr. Freeman was performing lobotomies without the aid of a qualified neurosurgeon, left him in disgust. Undeterred, Dr. Freeman bought himself a camper which he used to drive across the United States to perform lobotomies and teach other doctors the technique. Through Freeman's promotional efforts, the procedure became widespread and, according to some estimates, 40,000 people were given lobotomies in the United States -- the bulk of these in the 1940s and 1950s. Freeman began performing lobotomies on people whom few would deem "mentally ill," including a four-year old child. His most famous child patient was a 12-year old boy whose stepmother disliked him and sent him to Dr. Freeman for "help." That boy, Howard Dully, later underwent an MRI -- the first time in history that an MRI was performed on a lobotomized patient. All told, Dr. Freeman lobotomized 19 children. While most mental health specialists favored other therapies by the 1960s, Freeman continued performing lobotomies. 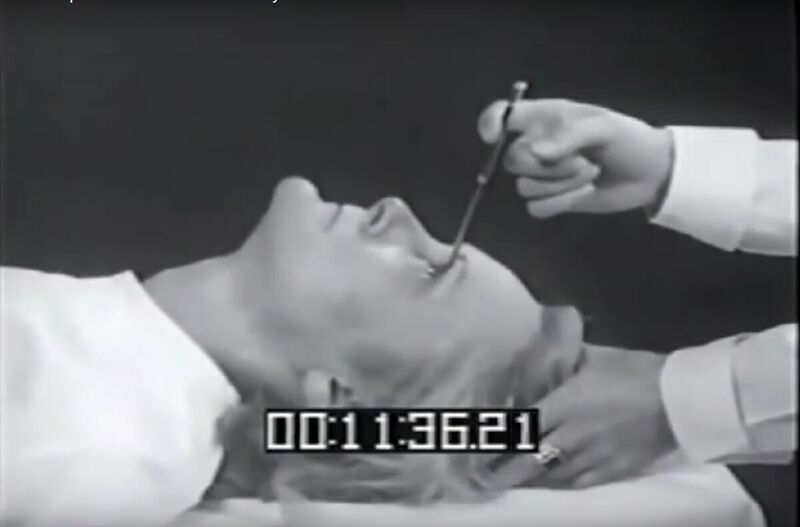 Freeman's final lobotomy was performed in 1967, in Berkeley, on a woman named Helen Mortensen. She'd been one of his very first lobotomy patients, way back in 1946, but had suffered a relapse of her old symptoms in 1956. In that year, Dr. Freeman performed a second lobotomy on the woman. Then, in 1967, she relapsed yet again, and Dr. Freeman gave her a third lobotomy. This time, however, she didn't survive. The hospital took his privileges away, and then he retired. To learn more about Walter Freeman, see the PBS Documentary "The Lobotomist"
"We went through the top of the head," Dr. Watts recalled. "I think she was awake. She had a mild tranquilizer. I made a surgical incision in the brain through the skull. It was near the front. It was on both sides. We just made a small incision, no more than an inch." The instrument Dr. Watts used looked like a butter knife. He swung it up and cut down to cut brain tissue. "We put an instrument inside," he said. As Dr. Watts cut, Dr. Freeman asked Rosemary questions. For example, he would ask her to recite the Lord's Prayer or sing "God Bless America" or count backward. Her pulse became more rapid, and her blood pressure rose. "We made an estimate on how far to cut based on how she responded," Dr. Watts said. When she began to become incoherent, they stopped. "I would make the incisions, and Dr. Freeman would estimate how much to cut as she talked. He talked to her. He would say that's enough." His "enough" came far too late, and Rosemary was left severely mentally impaired, incontinent, and in no way able to care for herself. She spent the rest of her life at the Jefferson, Wisconsin's St. Coletta School for Exceptional Children, being cared for by nuns. The U.S. Government lobotomized 2,000 psychologically damaged soldiers during and after World War Two. Read more about it at the Wall Street Journal. who has had a lobotomy? Doctors were reluctant to perform lobotomies at Central State. Nevertheless, some patients were given lobotomies outside the hospital and then re-admitted. · The long-term effects of the procedure were still unknown. · Central State was not properly equipped to care for patients after the procedure, due to a shortage of nursing staff. · It was ethically questionable for a physician to alter the personality of a human being. In such cases, he allowed patients to be released to relatives, who made arrangements with a neurosurgeon for the procedure to be done. By 1951, 15 patients had been re-admitted to the institution after having a lobotomy done on the outside. 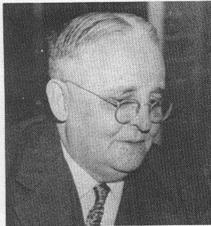 Dr. Clifford Williams succeeded Dr. Bahr as Superintendent in 1952. Williams was also reluctant to recommend lobotomies because such patients rarely were able to leave the hospital, and there are no records of lobotomies in Williams’s Annual Reports. During Williams’s tenure, treatment consisted of electro-convulsive therapy, occupational therapy, psychotherapy, recreational therapy, as well as the new, neuroleptic drug therapies that would revolutionize mental health care. Read Dr. Bahr's entire statement about lobotomy here (PDF). Robert B. Daroff and Michael J. Aminoff, contributors. Encylopedia of the Neurological Sciences. Academic Press, 2014. M. A. O'Callaghan and D. Carroll. Psychosurgery: A Scientific Analysis. Springer Science & Business Media, 2012. J. El-Hai. The Lobotomist: A Maverick Medical Genius and His Tragic Quest to Rid the World of Mental Illness. John Wiley & Sons, 2005. Ronald Kessler. The Sins of the Father: Joseph P. Kennedy and the Dynasty He Founded. First Edition. Warner Books, 1996. JD Pressman. Last Resort: Psychosurgery and the Limits of Medicine. Cambridge University Press, 1998.